Consumers are crazy for delicious and quality food at any cost. In today’s fast life there is no time for home-cooked food. Especially women who are working in global corporations unable to manage all household activities along with work pressure. Emerging brands have recognised it as an opportunity to grow seeds in F&B sector. In present scenario massive food franchise brands have started their operations in almost every metropolitan city. People also enjoyed the concept of food courts a lot. You many have eaten famous roadside cuisines such as Golgappa, Panipuri and bhell. These yummy snacks not only mesmerising Indians but also become the favourite snacks in leading economies of the world like America, England and Russia. Despite of such exponential popularity Golgappa and Panipuri is still considered as low profile stuffs when compared to other lavish dishes in India. Chatar Patar an Indian brands has transformed the way people think about eating panipuri. 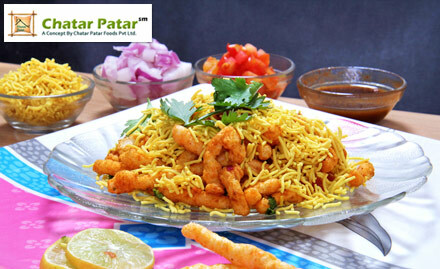 If you really want to enjoy your week off then it would be amazing to visit the famous Chatar Patar restaurant at once. With largest youth population, Indian subcontinent is famous destination for investment especially in F&B sector. One can find variety of culture in India, from Chinese to American, Italian to continental and so on. Indians are food-loving people, also the favourable demographics and environment makes India a wonderful land. At present, US $ 24 billion revenue is generated alone by food and beverage industry. Still unorganized market share is accounted for 30 per cent. Many national and international players have paved intention to serve the society with quality and sumptuous services. According to reports, over 1000 small, medium and large brands serving the society. By years 2020 these numbers would get rise due to unexpected needs and demands of consumers. In addition, Indian market still has potential to generated huge revenue.